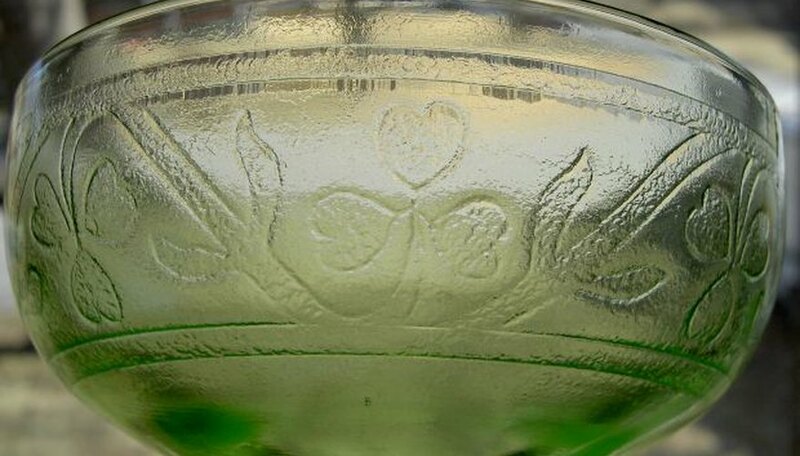 Tiara glassware, manufactured by the Indiana Glass Company of Dunkirk, Indiana, was sold at home parties from 1970 to 1999. Original prices averaged from $10 to $60 per piece, making the glassware popular as an alternative to higher-priced depression glass because of its similar coloring and pressed glass patterns. All-inclusive price guides for Tiara glass are not available, but pricing references can be found from various sources. Visit the unofficial Indiana Glass blog. The writer offers Indiana Glass Company history and information as well as links to other resources about Tiara glass. Read "Tiara Exclusives," by Ron Teal Sr., considered the most definitive Tiara glassware reference published. Copyrighted in 2000, the book is out of print but is available through collectors or possibly through inter-library loan. As with any collectible reference, prices listed are guidelines only and will vary by location, availability and demand. Read "Tiara Exclusives Glass: The Sandwich Pattern," by Shop4Antiques.com for pricing information on Tiara's Sandwich Pattern. This book, copyrighted in 2004, is also out of print but may be available by email through Shop4Antiques.com. Visit Tiara Exclusives, another unofficial Tiara glassware website, that offers scans of product catalogs, company information and pattern guides as well as a database of original Tiara glassware prices. Search online auctions such as eBay, Go Antiques or ICollector for Tiara glass auctions. Look for local auctions that carry Tiara glassware. Visit AuctionZip.com to search for local auctions by zip code, or check local newspapers for upcoming auctions. Talk to an antiques dealer who may be able to offer pricing information on some Tiara pieces. Subscribe to Kovels.com Premium Service, which cost $39 per year in 1009, or WorthPoint.com's subscription service beginning at $9.99 per month, if desired.